The government has granted licenses to energy companies to launch exploratory drilling for fracking throughout the north. One of the license blocks due to be issued includes the Rothwell ward including around Rothwell, Woodlesford, Oulton and Carlton and other areas in south east Leeds like Kippax and Methley and in the adjoining Wakefield areas. The Conservative government has promised to ‘deliver’ on shale gas and expedite its extraction despite growing opposition to fracking. While the government is braced for a row with environmental campaigners, local government leaders and some MPs over the plans, ministers have become frustrated at the failure to get the UK fracking industry off the ground. Fracking applications are to be fast-tracked through the planning system under new rules intended to kick-start the shale gas revolution. The guidance, will strengthen the power of ministers to step in and wrest decisions from local authorities if planners are perceived to be obstructive. Who’s promised to oppose fracking near Rothwell? Labour’s policy is that it wants tougher conditions – including 12 months’ monitoring of conditions before drilling to ensure there is a robust baseline against which to check whether any seismic activity or methane in groundwater is the result of fracking. Rothwell councillor David Nagle recently poke in full council expressing concerns over possible fracking locally. Local people are contacting me and David expressing their concerns. It’s alarming that just as with planning for new housing the national government wants to ride rough shod over the views of local people by introducing new rules that let government ministers force local councils into allowing development and planning that local people oppose. The local Labour party has set up an online petition which is quickly gaining momentum. We also have a paper petition and we gathered signatures at our Labour councillors’ stall at the Woodlesford Park Fun Day recently. Please add your name to the online petition if you want to register your opposition to fracking coming to Rothwell, Woodlesford, Oulton and Carlton. Karen has very kindly allowed me to do a guest post on her blog about the glamorous life of a politician’s husband (and daughter). On Thursday Karen was out braving the scorching hot temperatures driving around Wetherby and Harewood wards meeting and talking to local Labour Party members. Meanwhile back at home it was Esme’s and my job to prepare more than 300 mailshots with a copy of Karen’s latest newsletter for members. That meant printing labels, folding newsletters, stuffing them into envelopes, sticking on address labels and finally sticking the stamps. A glamorous life indeed, although she is treating me to a night out at the Lord Mayor’s charity ‘beach party’ later this month. Esme was fantastic and stuck on most of the stamps, although her stacking the finished envelopes into piles perhaps didn’t perhaps go quite to plan. Can’t honestly say I’d agree totally with her as the alternatives I offered her were using her paddling pool in the garden or playing with the knights in her castle. And finally I just need to say an enormous thanks to Royal Mail. Our second class mailing intended to arrive on Saturday or Monday morning actually reached some members on Friday! Despite being posted after 7:00pm at Royal Mail’s huge Stourton depot. Now that’s fantastic service by a profitable public sector company. It’s one more reason why we should fight to keep the Royal Mail in public ownership and stop the Tories flogging it off on the cheap. You won’t normally hear from me, but if you’re interested in communications, public relations and political campaigning then take a look at my blog at stuartbruce.biz. As a long-time Labour Party activist and councillor there are so many policies and issues that I care passionately about. But in the short process to select a Labour parliamentary candidate I realised I couldn’t do all of them justice so needed to focus on some of the policies that I feel are most important or where I can make the biggest difference. I’ve already done this for the bedroom tax where I took a motion to our last Elmet and Rothwell Labour Party constituency meeting. I called on Liam Bryne, the shadow secretary of state for work and pensions, to make a clear commitment in Labour’s general election manifesto to repeal the bedroom tax. Since I included this commitment in my list of policies zero hour contracts have been in the news a lot. First with the revelation that all of retailer Sports Direct’s part-time staff are on zero-hour contracts. That’s 90% of its entire workforce. And then the revelation that there are staff at Buckingham Palace on zero hour contracts. Zero hour contracts are just like a return to the dark age of the pre-WWII depression when workers would have to turn up every morning to stand in a queue in the hope they might be chosen for work. Although at the Tories are seemingly relaxed about food banks to feed families on the breadline, they are probably even more relaxed at this return to this depression era oppression of working people. Too often it is young people and women that are subject to zero hour contracts. But many young people and women have financial commitments that mean they need the same income security that people in jobs with real employment contracts enjoy. A local mum told me that her son had put a lot of preparation in to a job interview, beat all the other candidates, was delighted to start work, then came off job seekers allowance and off the unemployment figures. But her son is on a zero hour contract and he has already had a week where he had no work (and no pay). He is in fact worse off than he was when he was unemployed and she feels this is grossly unfair. The only flexibility I can see is to the employer and not to the employee. Another local person I spoke to who entered into a zero hour contract wasn’t offered work for weeks on end and then called up on a Friday night to work on Saturday (the next day). However, I do recognise that some workers get the chance to choose a more flexible type of zero hour contract as it offers them more flexibility and some contracts will be better than others and indeed some employers will be better than others. The type of contract that also gives flexibility to the worker can be good while they balance other commitments such as study or childcare. But I believe it should be a choice and zero hour contracts should only be used when there are real benefits to both employee and employer. And it should be a real choice, with it made compulsory for employers to always offer the opportunity to sign a real employment contract that provides some job and income security. Even before I am elected as an MP I will campaign to end zero hour contracts and as a candidate I will lobby to have a commitment about zero hour contracts included in the Labour general election manifesto. 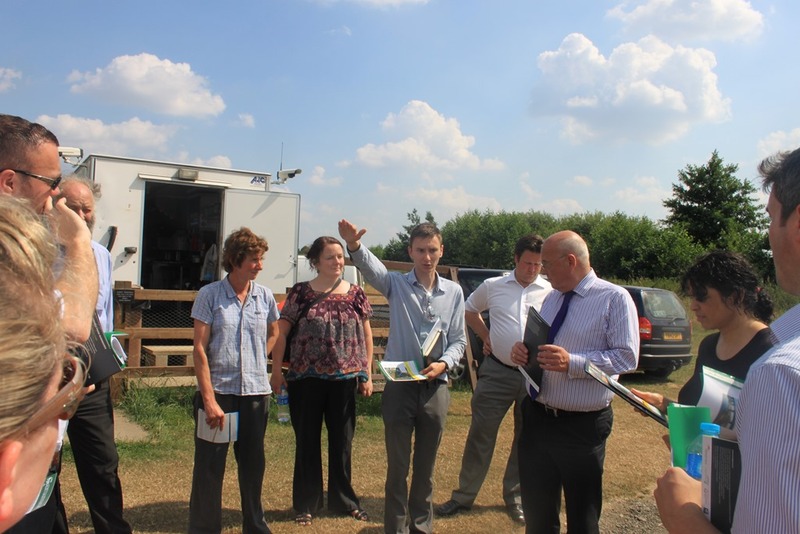 On Friday I went on a tour around parts of the Elmet and Rothwell constituency to show senior HS2 officials the areas that will be affected by their proposed route from Birmingham to Leeds. On the tour was my Rothwell ward colleague David Nagle, Garforth and Swillington councillor Mark Dobson, Rothwell Lib Dem councillor Stewart Golton, Alec Shelbrooke MP, Swillington parish councillor Ed Cartwright of Swillington Organic Farm and representatives of residents group HS2 SOWHAT. The locations that we showed to the HS2 officials were chosen to show the devastating impact that their current route would have on local communities in Rothwell, Garforth and Swillington. The officials will have been left in no doubt that the current HS2 route will wreak havoc on the lives of local people and destroy some local businesses. I made sure that the officials understood that all three political parties – the Labour councillors in Rothwell, Garforth and Swillington; the remaining Liberal Democrat councillor in Rothwell and Elmet and Rothwell’s Conservative MP – are all united in opposing HS2’s impacting so seriously on local communities and want a better deal for local people including moving the route so it impacts negatively on less people. I also stressed that local people can’t afford to wait for answers and solutions. It might just be a job to HS2 officials, but it is the lives of local people and their families. The news of the potential route has already left some people trapped in homes they can no longer sell if they need to move to a new home because of larger families, new jobs or simply old age and retirement. I want to see immediate help for these people. I’m also continuing talks with Cllr Keith Wakefield, Leader of Leeds City Council and Cllr James Lewis chair of the Integrated Transport Authority and am meeting with them again this week.